One of the best ways for students to see if a college is a good fit is by visiting campus. And for many students, a campus visit may be just what they need to help them see that college could be a reality for their future. Here are five tips for helping students make sure their campus visits count. Prior to visiting a school, students should consider their goals and interests to make sure they are visiting schools that would be the best fit. For example, if a student is interested in business, he or she should consider visiting schools that offer specific events at the business school to get an idea of what studying on that campus would look like. Many students aren’t aware of the campus events happening at schools that may interest them. 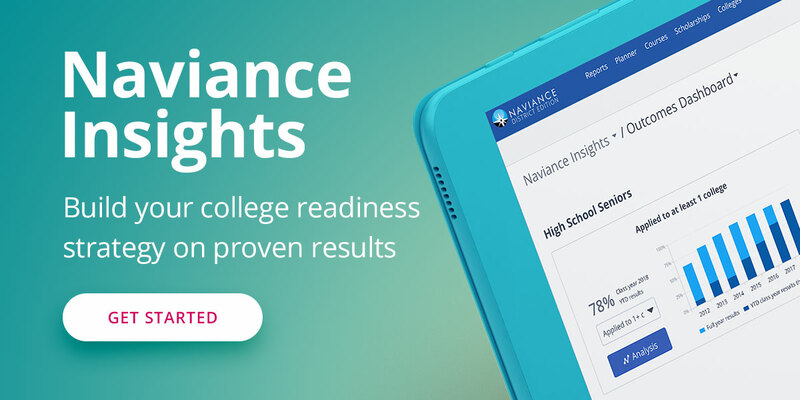 If your school uses Naviance by Hobsons, students will soon be able to discover on-campus events at colleges, all from one place in Family Connection. ActiveMatch Events will allow students to find events at institutions that are a good match for them. For example, a student could search for upcoming events at schools offering degrees in computer science in California or Oregon. By helping students connect with best-fit postsecondary institutions, students will be more likely to find the school that’s best for them. Regional admissions representatives are similar to their on-campus counterparts; however, they typically live in their primary recruitment territory so they can spend more time in person with counselors, students, and families. Consider meeting with regional reps to discuss your students’ interests so they can direct you to the best places for further investigation. Once on campus, students can get so overwhelmed with all the sights and sounds that they may forget to ask college staff and college tour guides important questions. Help your students compile a list of questions in advance of the visit so they get all the information they need to make the right decision. The campus tour guide is a great place to start, but encourage students to branch out and talk to as many people on campus as possible. Current students are great resources; they likely won’t be shy about sharing their love of the school. If they have a problem or complaint, they will probably share it too. Encourage students to stop by important campus offices, like admissions and financial aid, and introduce themselves. Harlen Cohen, author of the popular book on college life, The Naked Roommate: And 107 Other Issues You Might Run Into in College, encourages students to visualize a “yes place” where all their hopes, dreams, and desires are within reach. Encourage students to conduct this exercise after each visit: Is this school the place where I can connect and make investments in my future? A key part of deciding which college to go to is finding a good fit. Using these tips can help students make the most out of their campus visits and determine whether a college is the right place for them. Learn more about helping students match to best-fit educational opportunities with ActiveMatch Events.